Simone Christensen is a Danish racer from Denmark, she's competed at the 2016 Olympic Games and won gold at the 2015 European Games. Her race record is not only impressive but she's also some how doing her medical studies while training. 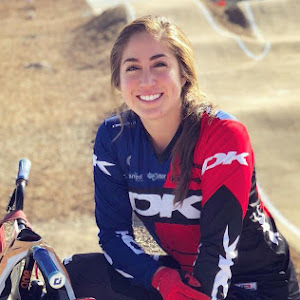 She's definitely one of my favorite racers to watch, so keep reading if you want to learn more about her! 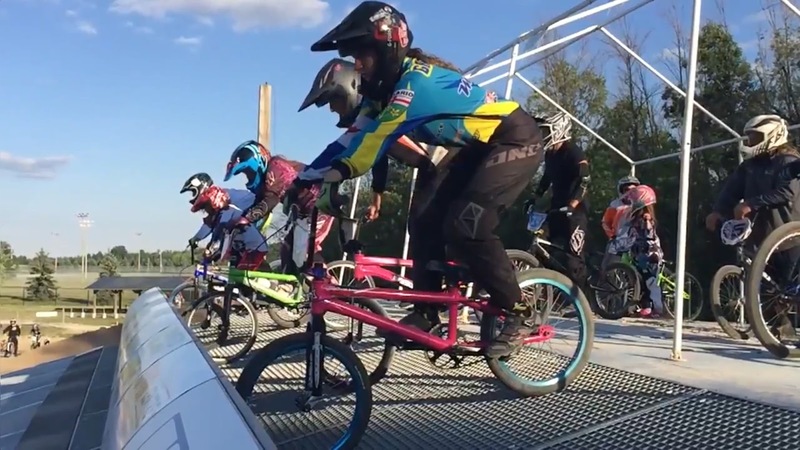 Beatrice: How were you first introduced to BMX and was being an elite rider always the goal? Did you have any set backs in between that time? 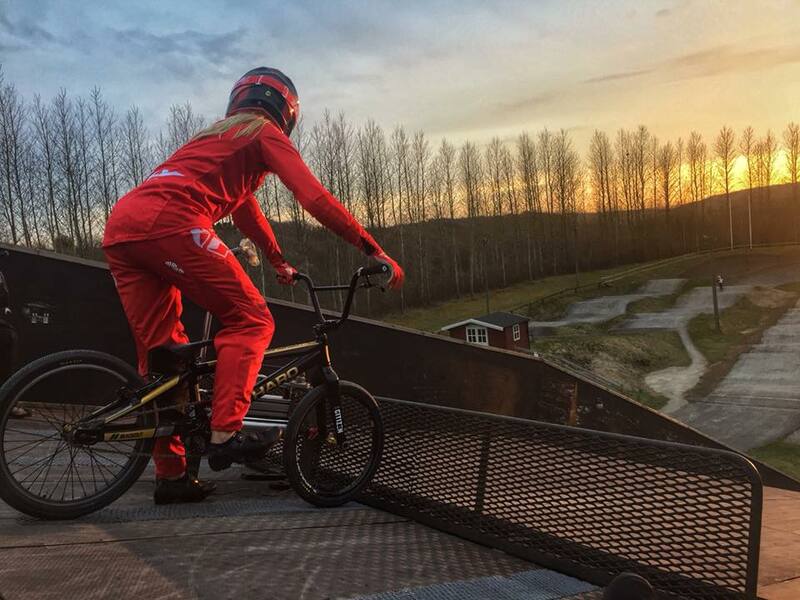 Simone: My brother was super into riding small bikes and jumping, so my parents took us down to the local track. My brother didn't wanna have the sweaty and used helmets on (bare in mind he was 6), but apparently I didn't care haha. So I tried and then he also tried, and from there on we started (2002). I have some of my journals from when I was a kid, where I wrote that I just wanna be the best BMX'er in the world, so yes I think that was my goal the whole time haha. Mainly the setbacks I have had, has been while I was a junior rider and Elite, not too many before that. Beatrice: How's the race scene in Denmark and aside from yourself, are there any female racers we should keep an eye on? Simone: Yes for sure! 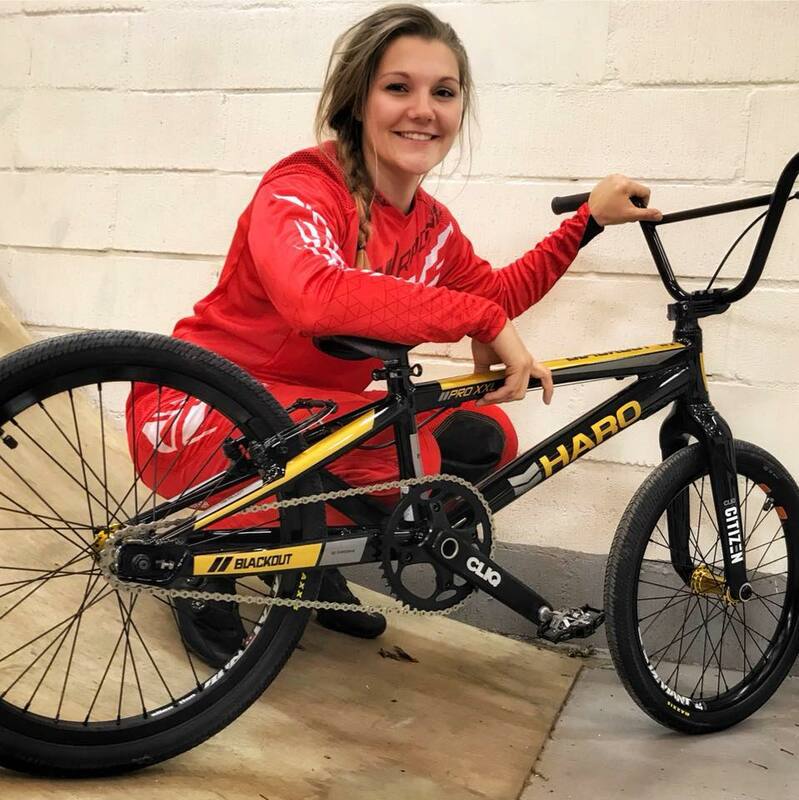 Specially on the girls side it's looking good with Malene Kejlstrup who was European Champ in girls 15 last year, and Mia Christensen who is former European and World Champion, she is now 15 years old. Beatrice: You recently had surgery, and it seems your recovery was pretty fast! What happened, and how are you doing today? 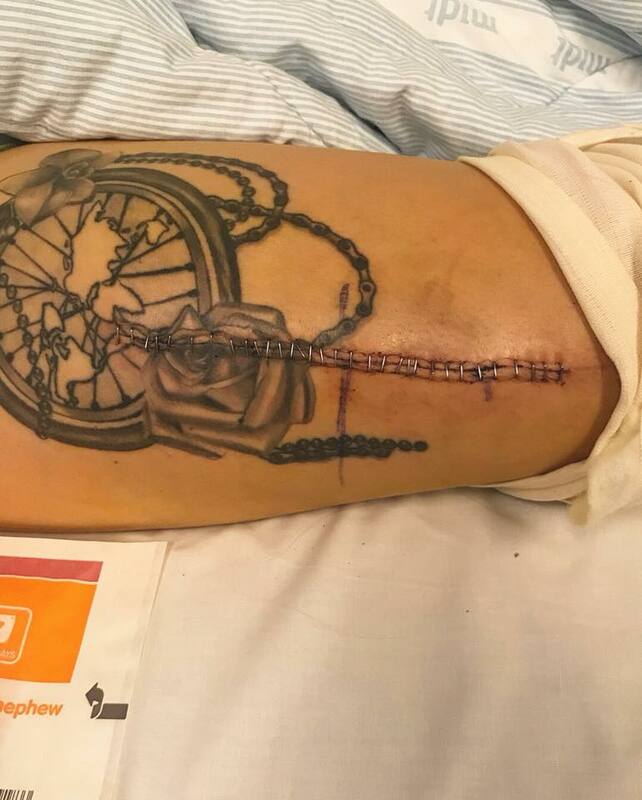 Simone: Well for me it feels like forever haha, I started having this random pain in my leg in October, and no one could figure out what it was before in the beginning of January. There was a small infection in my right femur. The surgeon opened up my leg all the way to my bone, made a hole into the bone and rinsed out the infection. I had to wait 6 weeks before I could ride again, because the bone was weakened from the surgery. It still isn't the best, but it's slowly getting back to normal, and the pain is less and less, but still looking forward to it being 100% okay again! Beatrice: 2016 was a really big year with the Olympics, but looking at your posts, it also had some devastating moments. 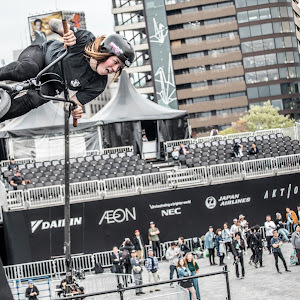 Going through that experience, what's the biggest lesson you learned and what's your plan moving forward with the 2020 Tokyo Olympics? Simone: It definitely was a big year! I think I mainly learned what I was capable off. I never expected to be battling the 3 girls that ended up taking the medals in the final, but it was for sure devastating not making the final due to stupid small crashes in the last corner. There's nothing I would do differently though, I felt like I rode as good as I could and as devastating it was, I'm still proud of my riding them 3 motos. Beatrice: These days, how do you split your week with training and being in med school? What's a typical week like and what's a general pro tip you can give to racers? Simone: This year I have done it differently school wise, and I don't go to the classes and lectures I have and try to just do it on the side, reading the very heavy books myself. This is mainly because I wanna just focus on my training, and don't wanna be rushed to make it to a 2 hour boring lecture haha. So training is always first, and I'm still not sure if I'll take the exam I have coming up, as it is just before the World Championships, so I will see if I'm ready for that exam or not. So a typical week for me is basically the same every day; get up early so I can study a bit before my first session, back home for some lunch and study some more, getting ready for next session if it's a 2 session kinda day, and then back home to relax and study a bit more. I try not to study too late, as it ruins my sleep thinking about medical stuff just before heading to bed. Pro tip: Probably just try to enjoy every training, and get through the hard days knowing you still have done your best! Hard works always pays off! Beatrice: How do you spend your recovery days and what's your go to protein shake or supplement that you'd recommend? Simone: I spend them on catching up with my studying, as I'm always behind haha. Else I make plans to see my friends, so I can use my day off on anything else but training. That fuels me up for the next days of training! I buy my own (protein), so I just get whatever I like flavourwise! Beatrice: What are your thoughts on the 2018 Worlds location being in Baku, Azerbaijan? Here in North America, I hear parents are opting out based on the location and safety. Any thoughts or tips on this? 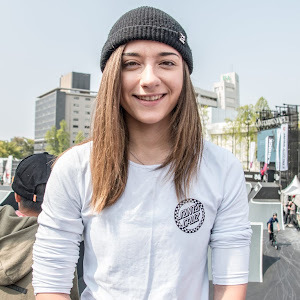 Simone: I've been there before, for the European Games in 2015, and I loved the place! Obviously it's very different from Denmark, Canada etc. but I didn't feel uncomfortable at any time. I'm sure if you check out the locations, you can easily find a place to stay where you feel safe if that's what worries you. Beatrice: If you became a tourist guide for all of Denmark, and you had to set up an itinerary for a racer, what tracks would you send us to and on top of that, what does one eat in Denmark!? Simone: I love the Copenhagen track, but unfortunately I live a few hours from that, but that's definitely a place to be for a racer! Else Skanderborg, my training track, is also fun. For this year I signed with a club in Randers, and they are building a full size SX track that's gonna be super awesome, so can't wait for that! Uhm, I guess if you have an old school kinda meal it's potatoes, gravy and meat. And I think we eat a lot of different types of bread haha else, I think it's pretty varied meals like everywhere else. Beatrice: If you could live anywhere, do anything, what would it be right now? 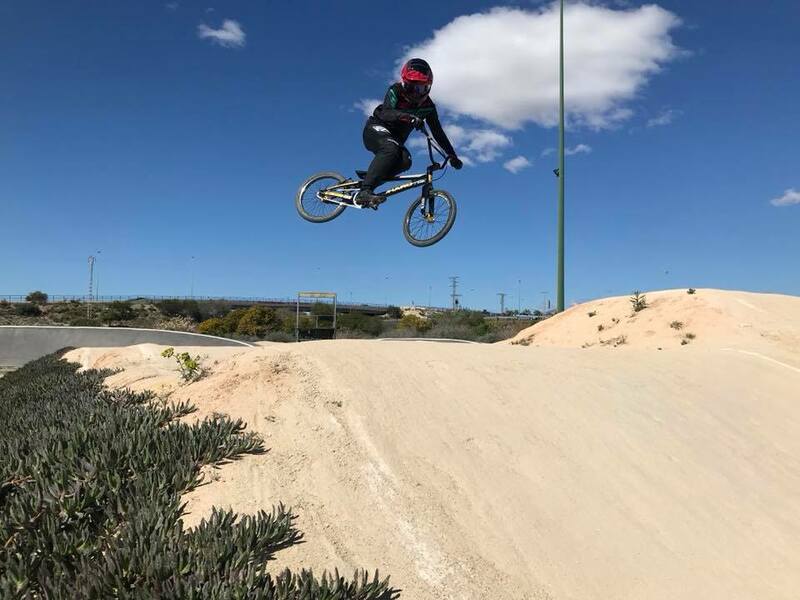 Simone: Live in California (or at least somewhere warm), and of course ride BMX. Maybe even go to med school there! Lastly. because I am Canadian, we want to know: Between Tory Nyhaug and James Palmer, who takes longer to take a selfie? Simone: Haha gotta say Tory (mainly because James said that haha). 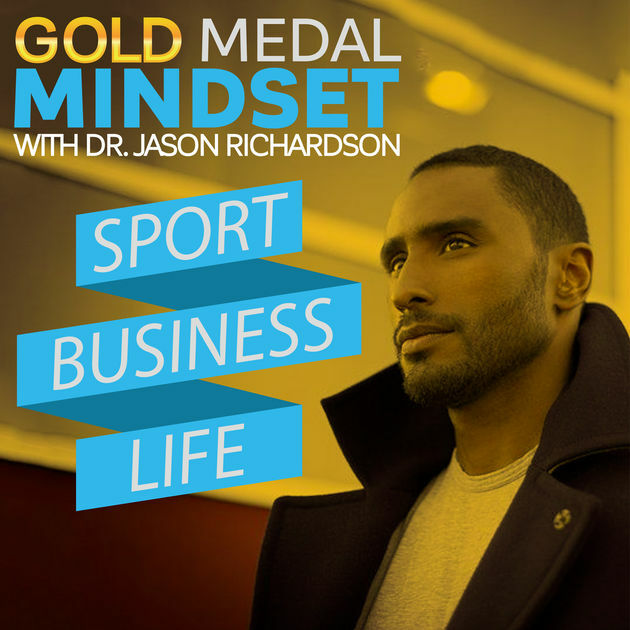 Dr. Jason Richardson is a World Champion and Pan Am Games Gold Medalist, he earned his MBA and Doctorate in Psychology while completing as professional athlete. He's worked with a number of well known athletes like Nikita Ducarroz, Jill Kintner and Arielle Martin to name a few. Recently, I reached out to Dr. Richardson on the topic of mental preparation and got him to share some of his expert knowledge on how you can take your training to the next level. Before we do that though, let's learn more about Dr. Richardson. Beatrice: Growing up, what influenced your decision on getting a Doctorate in Psychology? Dr. Richardson: I was already grown… I graduated college in 1997 and got my MBA in 2000. I decided to go back to school after I had recovered from breaking my leg in 2006. It made sense that I use my sport and business background to create a business that helps people achieve peak performance and life satisfaction. Getting my Doctorate, coupled with the fact that I was a pro athlete for 15 years, set me up to be the obvious choice for action sport athletes as well as a unique choice for businesses and team looking for a speaker/trainer. Beatrice: In terms of athletes, what is the definition of mental prep and how does it play into results? Is it important as your nutrition and training, or is it more important in your opinion? Dr. Richardson: Mental prep is important. However, I would like to introduce the idea that Mindset is key. The physical training is a form of metal prep to certain degree, but the overall mindset - a belief one has about themselves, the world, and what is possible always wins out. The work I do with people is about mindset first… then we do things to retrain the mindset… then we do things to mentally prepare for an event. That said, an athletes training and skill development are always at the top of the list. This is inclusive of what one is feeding their brain and body! Beatrice: What does being mentally prepared even feel like in competition? Dr. Richardson: A willingness to see through what it is you set out to do. Candidly, an athlete may not feel prepared or even confident… but that doesn’t mean they are not prepared. The trick is to understand that our brains naturally go to these negative thoughts when we experience stress. So… are you willing, ready, and able to deal with the stress? Are you ready, willing, and able to do what you are trained to do DESPITE how you may feel? Beatrice: What advice did you wish you had when you were racing at the elite level? Dr. Richardson: I had a very long elite career and I worked with a sports psychologist for many of those years. In that regard, I was fortunate. However, I would have capitalized more on the racing both bikes and started to use my status to get in front of more people outside of the sport. Beatrice: Your book “It's All BS! We're all wrong, and you're all right!” was written for everyone, but is there one chapter most relatable to an athlete, and generally which chapter do you love the most? Dr. Richardson: Self Esteem is Not Enough - But You Are! I think that is chapter 6. We make the mistake of thinking confidence is the key to our success. While confidence is nice and probably wanted - it is not necessary. This concept, once internalized, can really free an athlete up to be dangerous… in a good way! Beatrice: What are some really common obstacles you deal with when it comes to your athletes? Dr. Richardson: I like to offer everyone with whom I work a basic premise as to “how this will go down”. The trend I am noticing now, more than ever, is fear. Not that it is something new, but specific fear of injury (crashing) as it pertains to SX races. Beatrice: You’ve helped so many athletes, and we don’t have to release any names … but was there ever an athlete you thought you couldn’t help? Dr. Richardson: Of course! I am not for everyone and everyone is not for me. In many cases, when deciding to work together, it is a matter of creating rapport, trust, and seeing if the dynamic (chemistry) is good. If it is a case where those things are hard to create, for whatever reason, I want that athlete to find someone that would be more impactful to their success. Credit to Hannah Gallacher for suggesting that we write about this important topic! 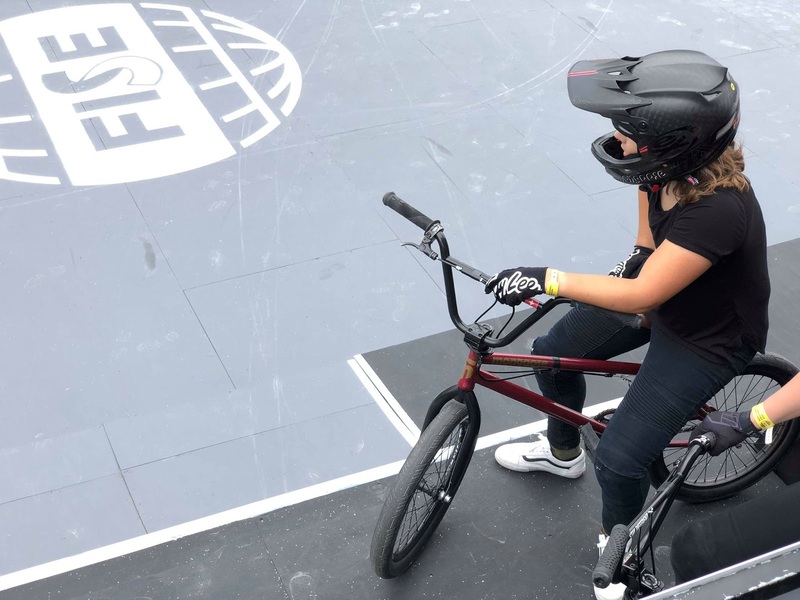 Beatrice: In freestyle BMX, eating healthy, training, ice baths... these things are only now being implemented as I think more freestyle athletes are seeing themselves as just that, athletes. In racing, was there ever a shift or were racers always professional as they are today? If there was a shift, when did it occur and was there a particular rider that lead the way? Dr. Richardson: In racing there were several shifts. Christophe Leveque lead the way in the modern age (90s) and from there, the Olympic announcement and subsequent involvement created opportunities for the riders to learn from sport science and vice versa. I would also like to note that BMX racers were training and working hard in the 80s as well. I do not want to diminish the efforts of our predecessors. Beatrice: Lastly, we need to ask for some free advice. Are there any techniques you can give us to remain focused in staging and do you have any tips to block out distractions? Dr. Richardson: Create a routine. Preferably one that you do once out of the chutes (Like when you are a couple of motos behind the gate). I am a big proponent for controlling/using breathing, creating a physical trigger (like a hand clap, shaking out legs or little jumps)… then focusing on ONE thing. That ONE thing to focus on you want to be well within your control and simple to execute.